Sean covers European healthcare investments for China Momentum Fund at Fosun Group. China Momentum Fund is a global private equity fund seeking to capitalize on the new economic paradigm of international market and China's economic momentum. The Fund's opportunity lies in addressing the increasing need for companies to successfully grow their international business and Fosun Group’s unique platform to help achieve such goal. 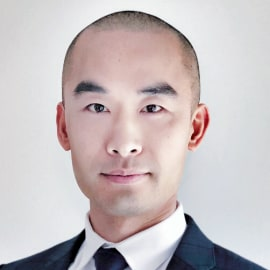 Sean Wu joined Fosun in 2014. Prior to Fosun, Sean served as M&A professional across platforms including UBS and DC Advisory. Sean has over 10 years of cross-border mergers and acquisitions, investment and healthcare industry experiences. Investments Sean has led at Fosun include Swedish respiratory device company Breas Medical, U.K. listed bioscience investment firm Arix Bioscience, etc. Sean holds a Bachelor's degree in Business Administration from The University of Tokyo.